The Truku (太魯閣族，Taroko) people are one of several Austronesian groups living in Taiwan before the arrival of the Han Chinese in the seventeenth century. A group of Truku people of Siou-lin County have been involved in a forty-year dispute with the Asia Cement Company (亞洲水泥股份有限公司) and the local government over occupation and ownership rights to sections of land reserved for indigenous people (“Reserved Land”). 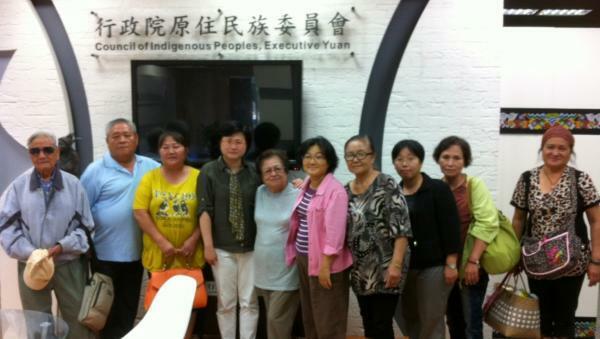 On October 19, 2012, the Council of Indigenous Peoples (行政院原住民族委員會 “the Council,” the highest level body dealing specifically with indigenous peoples’ affairs under Taiwanese law) issued a historic judgment on an administrative appeal filed by two Truku people against the local government for refusing their application to transfer the ownership of sections of Reserved Land currently occupied by Asia Cement Company. The Council’s judgment cited the Taiwanese Constitution, the legal code on Lands Reserved for Indigenous People, international human rights law, and foreign court opinions to give a clear and in-depth explication of the substance and spirit of the Taiwanese law. It pointed out that ownership rights had been only temporarily entrusted to the national government, which had an ultimate duty to act in the role of a guardian in administering the land in the interest of the indigenous people; the government furthermore has a duty to help aboriginals obtain the land ownership rights which were their due. The complainants in this case are Cheng Jheng-ren (程政人) and Yang Jin-Siang (楊金香), both Truku people of Siou-lin District (秀林鄉). Between 1968 and 1969, they formally registered for the cultivation rights of land on the aboriginal reservation that their family had lived on and cultivated for generations. According to Article 17, Section 1 of the “Regulations on Development and Management of the Lands Reserved for Indigenous People” (原住民保留地開發管理辦法，“the Regulations”), if, after the rights to cultivation or superficies have been acquired under these Regulations, the land has been in use by the rights holder for five years, the central competent authority shall, together with the holder of rights to cultivation or superficies, apply to the local registration agency to register for ownership transfer. In 1974, the Siou-lin District administrative office, the Hua-lien County (花蓮縣) government, and the Asia Cement Company held several meetings for residents regarding Asia Cement's desire to develop a production site in Siou-lin District. However, as the Council’s judgment clearly points out, “The meeting only highlighted the benefits of the establishment of an Asia Cement factory during these “informational meetings,” never clearly stating to attendees that they would need to desist all cultivation and use of Truku Reserved Lands.” Furthermore, the Truku people's full understanding of the meetings' proceedings cannot be taken for granted when these meetings were conducted solely within the context of the laws and language of the Republic of China, which were alien and unfamiliar to the Truku people. Subsequently, the Siou-lin District administrative office proceeded to transfer the lease for large sections of Reserved Lands to the Asia Cement Company, soon afterward revoking the cultivation rights registrations for 146 hectares of land. Fortunately, because of errors in documentation, a few of these revocations were not completed and a few were able to retain their cultivation rights. Two of these comparatively lucky rights holders eventually became litigants in the aforementioned case. After the lease agreement between the Siou-lin District administrative office and Asia Cement was formed, the original Truku rights-holders were forced off their land. Many of the original cultivation rights’ registrants have since passed away, and the remaining few who are parties to this case are now quite elderly. During the course of protracted litigation, the Siou-lin District administrative office and the Asia Cement Company have repeatedly produced a written document which they claim is an agreement to abandon cultivation rights to which the seals and signatures of the Truku cultivation rights-holders have been affixed as proof of the aboriginal people's voluntarily renouncing cultivation rights and receipt of compensatory payment. However, the two aboriginal plaintiffs in this case do not recall signing any such document, and the handwriting used on all the signatures appending the agreement is curiously identical. In 1994, Igung Shiban (Tian Chun-chou 田春綢 in Chinese), a Truku woman, returned to her family's residence in Siou-lin after residing with her husband, Tada Maru (丸山忠夫), in Japan for more than twenty years. After happening upon the batch of suspiciously authenticated renunciation agreements, she and her husband spent countless hours investigating and collecting information about the circumstances behind the loss of cultivation rights, exhaustively researching the legal context and tirelessly confronting the local governmental administration. They furthermore also organized members of the Truku tribe to agitate for the return of their land. In 1998, the Taiwan Provincial Aboriginal Affairs Commission (the predecessor to the present Council of Indigenous Peoples under the Executive Yuan) sued the Truku cultivation rights holders, including Yang and others, over the registration of cultivation rights in the Hua-lien County district court. The practical effect of this action was to support the business interests of Asia Cement, in direct contravention of the Commission’s founding purpose. Fortunately, however, the district court found in 1999 that the cultivation rights should never have been revoked, and thus confirmed that Yang and the others had a lawful right to cultivate the disputed land. In 2004, Winkler Partners and the Wild at Heart Legal Defense Association began providing legal assistance to the Truku cultivation rights holders, helping them to claim ownership rights of their land according to Article 17 of the Regulations. Over the last 8 years, the Siou-lin District administrative office and the Hua-lien County government have repeatedly deferred to one another over responsibility for registration. In May of 2011, both the County and District governments rejected the Truku people’s applications for ownership rights, saying that because the land in dispute was currently occupied by Asia Cement and not being cultivated by the applicants, the applicants failed to meet Article 17’s requirements for conversion of cultivation rights to land ownership. Upon rejection of this last application, attorneys from Winkler Partners and Wild at Heart assisted the two Truku applicants in filing an administrative appeal with the Council. The Council ruled that this case fell under the purview of the Hua-lien County government, finding that the Siou-lin District administrative office had merely passed on the Hua-lien County government's refusal of the application for ownership rights. Thus, Hua-lien County bears ultimate responsibility for assisting the Truku people in obtaining land ownership rights to their land. The Council clearly states in its judgment that the Hua-lien County government made an error in rejecting the applications for land ownership rights by applying a too-narrow interpretation of the law. Article 17 of the Regulations should be interpreted such that if the two Truku applicants have made actual use of their land for a full five years, regardless of the subsequent occupation by Asia Cement, the Hua-lien County government has a duty to help the applicants acquire ownership rights over the land. The judgment represented a landmark for the indigenous land reclamation movement in Taiwan, marking the first affirmation from a government body that the local governmental administration has a duty to assist aboriginal residents to obtaining ownership rights for land they are already the rightful cultivators. However, there is still much work to be done. To push the Taiwanese government to initiate a thorough re-examination of its Cement Policy on the East Coast, especially implementation of County Commissioner Fu Kun-chi's (傅崑萁) policy to prohibit the development of new areas for cement mining or the extension of operation periods for existing mines. To lobby for the revision of Article 47 of the Mining Act, which presently states that the mineral rights holder may commence mining operations upon depositing the monetary value of rent or compensation for the land with the court and file a notification with the governing agency, without agreement from the land owner and other rights holders. The present law allows mineral rights to trump all other public and private interests unconditionally. We consider the provision to be unconstitutional on the basis of its violation of the principle of equality. To ensure that the Hua-lien County Government acts in accordance with the judgment issued by the Council of Indigenous Peoples and assist the Truku people who were parties in the Asia Cement Case in obtaining land ownership rights with all due speed. Refers to above-ground uses of land (e.g., building ownership). According Taiwanese law, implicit under the system of cultivation rights is that the ownership rights to the land are retained by the national government; however, the rights holder possesses the right to cultivate the land and under specific circumstances are allowed to apply to convert their cultivation rights to ownership rights.